Students are introduced to early civilizations in east Africa by learning about Aksum in Ethiopia. 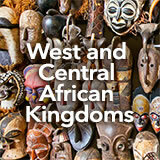 Then they examine more broadly the east African kingdoms and trade networks. Next, they explore the Great Zimbabwe in southern Africa. They analyze how colonialism in southern Africa was different from that of other parts of Africa. Finally, they write imaginatively about what daily life would have been like in ancient Aksum. In this experience, students are introduced to early civilizations in east Africa by learning about Aksum in Ethiopia. 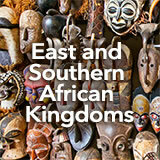 Then they examine more broadly the east African kingdoms and trade networks. Next, they explore the Great Zimbabwe in southern Africa. They analyze how colonialism in southern Africa was different from that of other parts of Africa. Finally, they write imaginatively about what daily life would have been like in ancient Aksum. Describe the society, economy, and religion of Axum (Aksum) and Zimbabwe. Analyze the role of colonialism in east and southern Africa. What is unique about the early history of east and southern Africa? In this experience, you will find out about some of the early civilizations that established communities throughout this region and grew to be powerful kingdoms. What comes to mind when you think about the east African country of Ethiopia? In a short phrase, share an idea with your classmates. To list more than one, separate the countries with a comma, like this: Rome, Paris. Now watch The Ark of the Covenant: Aksum. What surprised you about what you learned about Ethiopia in the video? Discuss student responses, which will be varied. Some may think of it as a place where there are starving children, others might know that it has ancient Jewish, Christian, and Islamic roots. In this experience, you will explore more of the history of Ethiopia and other parts of east and southern Africa. The Complete List of Learning Experiences in African Civilizations Unit.